The last thing I'll be doing today is shopping. 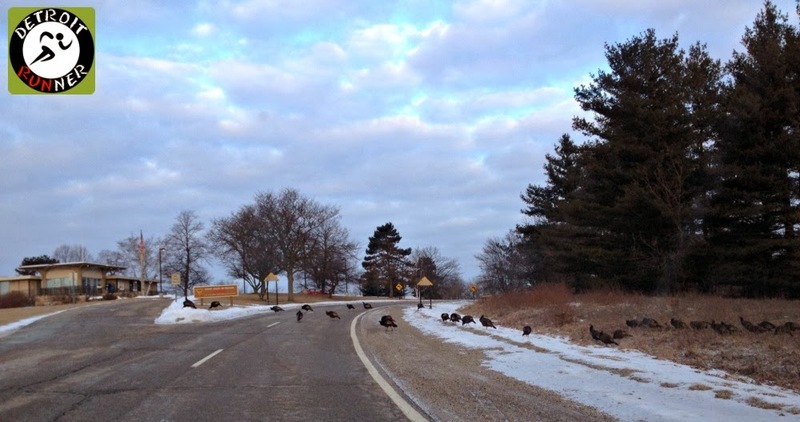 Yesterday I ran 10 miles in preparation for Thanksgiving dinner. Usually I run in a race but I just could not do the Detroit Turkey Trot this year and have to get up at 4am and fight the 25,000 people running it. This year I just decided to run at my normal training grounds at Stony Creek Metropark. It was nice. Last year I put together a Holiday gift guide and thought I would update it a bit with things I'm using. Some of this years items on the list are also from last year too. Most can be found in the Gear Review section of my blog and can be purchaed at your local running store or online. Hydration - Clean Bottle. Ever since I've done a review on this, I've used it. It's easy to clean, has openings in both ends, does not leak, holds plenty of water for a long run and phone/keys/GU. 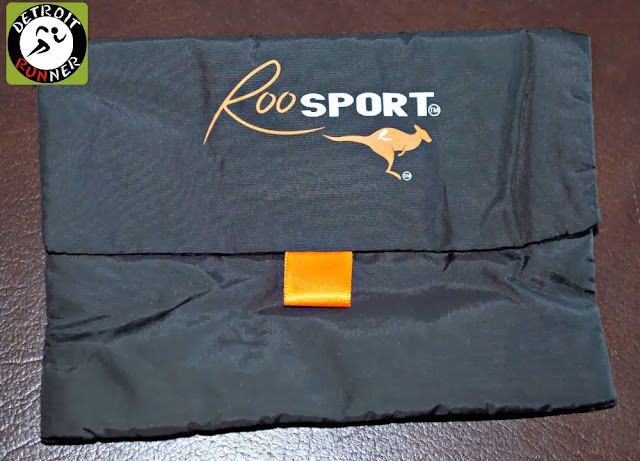 Fitness Pouch - While I don't wear this often while running, I love the Roosport pouch for short races where I'm not carrying a water bottle. It fits ID, cash, keys and you can't even tell it's there. It fits on your shorts. Illumination - Petzl headlamps. I shouldn't have to say more than that. They are the best for running. Period. This has been put through Hell and back. It's comfortable, reliable, and even has a safety whistle on it. The light is extremely bright and the batteries last a long time. 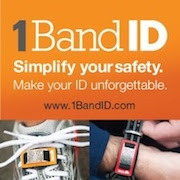 Safety - 1BandID is my choice. Any ID is better than none but I love this one because I never forget it. 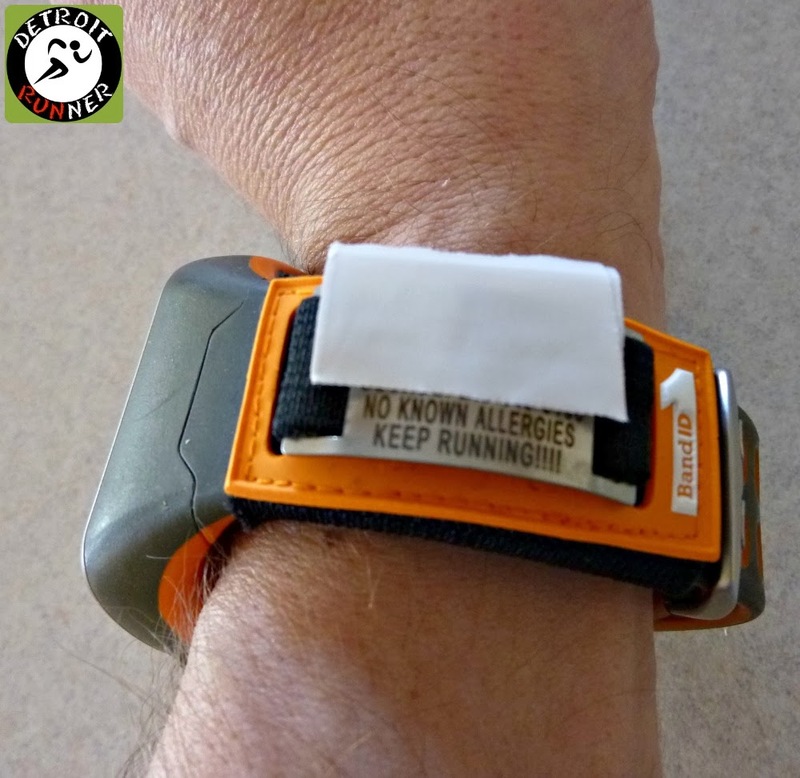 It's made to fit on your watch and I never forget my watch when running. Put it on and forget about it. I've used it the last two years and all my running has been outside. Still looks like new! Sunglasses - Tifosi Tyrants are my favorite but all of the sunglasses I've ever tried and all the Tifosi Sunglasses I've worn have been awesome. The Tyrant 2 has come out as well which look even better than the original but I've not tried them yet(review to come). I just ordered replacement lenses from Tifosi because I tripped while trail running and my glasses went flying and one of the lenses broke. 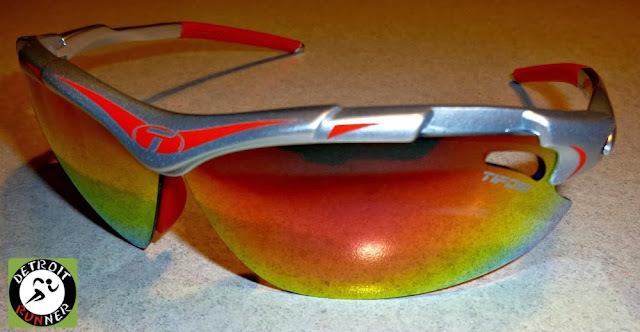 For running, I can't live without these glasses. Clothing - While I use lots of running clothes, these three of my favorite for winter running. 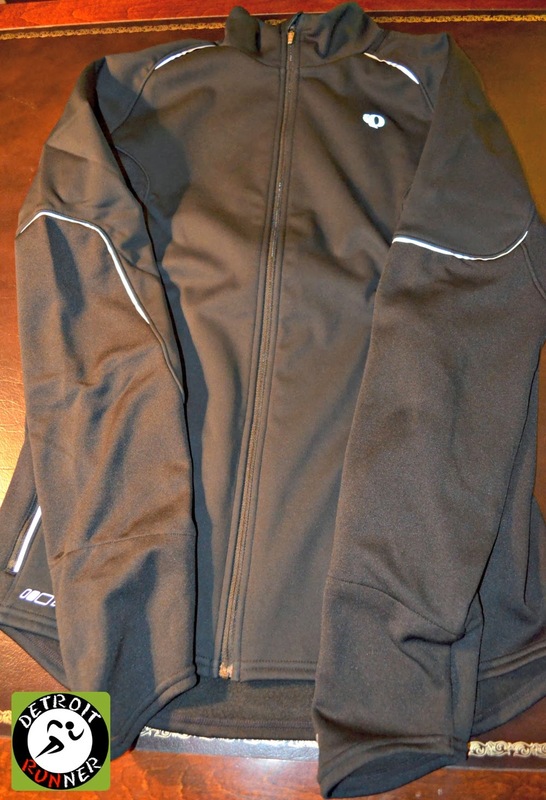 The Pearl Izumi Infinity Windblocking jacket and, of course, the Buff. The buff keeps your face from freezing off in winter running. 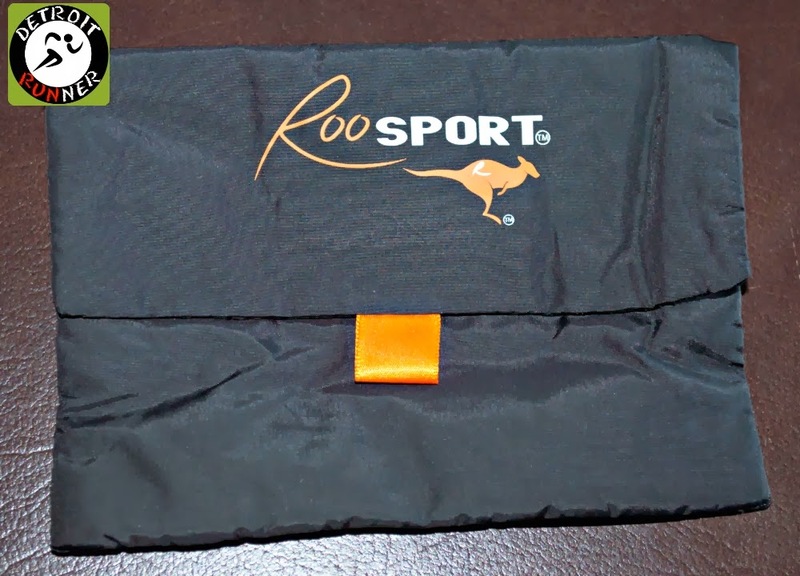 One of the best inventions for runners in my opinion. 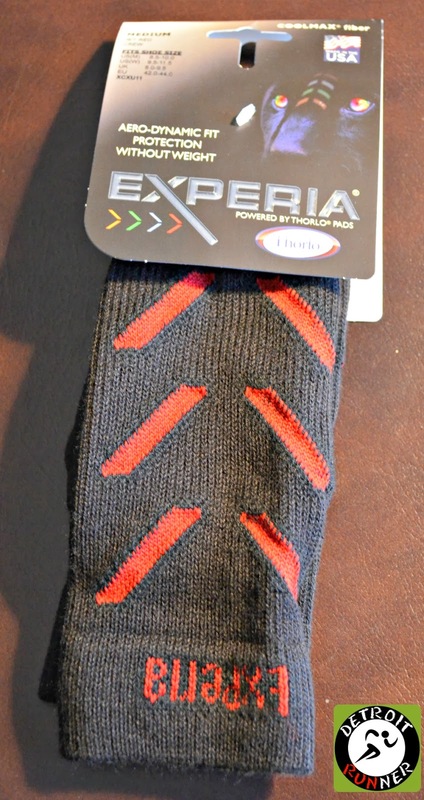 I also love the Experia by Thorlos socks and are the only ones have have kept my feet warm enough through an weather. Electronics - Of course, you don't NEED to run with a Garmin - I have the 310xt but I'm contemplating an upgrade to the 220 or 620, the latest Garmin for Runners. These have made some vast improvements in technology and keep getting better every year. Injury Prevention - a foam roller is essential, in my opinion and I love my TP Therapy Grid but also have the Rumble Roller for deep massage and the Pro-tec roller. A good old Lacrosse ball works well for hard to get spots too. Medal Holder - While there are lots of companies that sell displays, Allied Medal Display offers stock and custom designed medal hangers. These are the best and most detailed hangers you can get and they are a great company to work with. A very nice, high quality product. Shoes - I've made no bones about it, I love my Saucony Ride 6 shoes. I love Saucony. They work for me on the roads so why change up a good thing. 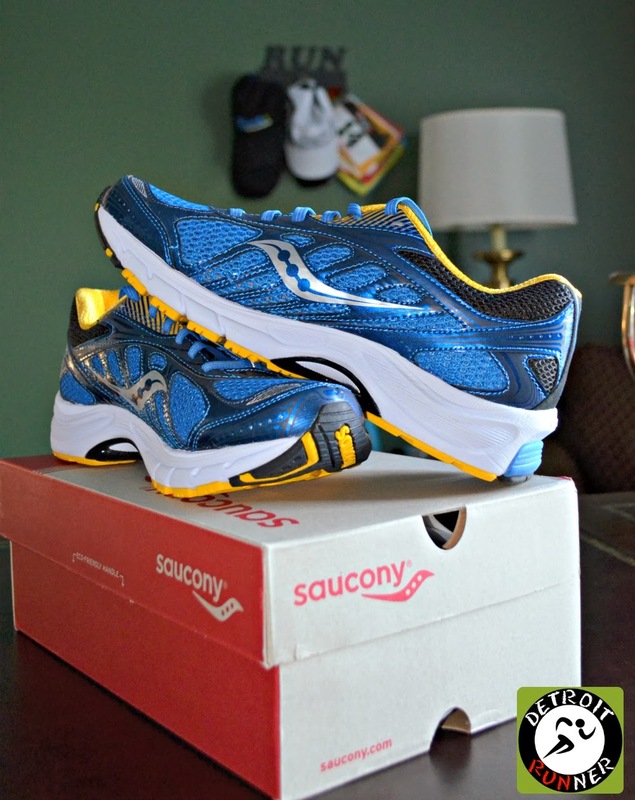 Of course, Saucony has an excellent reputation and are always on the cutting edge of comfort, style and technology. I just ran my last marathon in them. 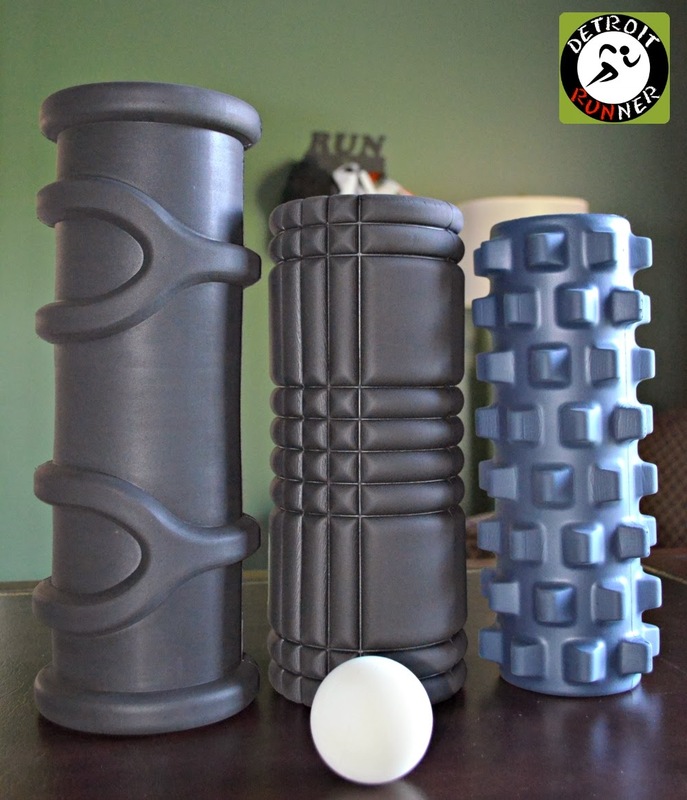 Some of these items can be found at your local running store. 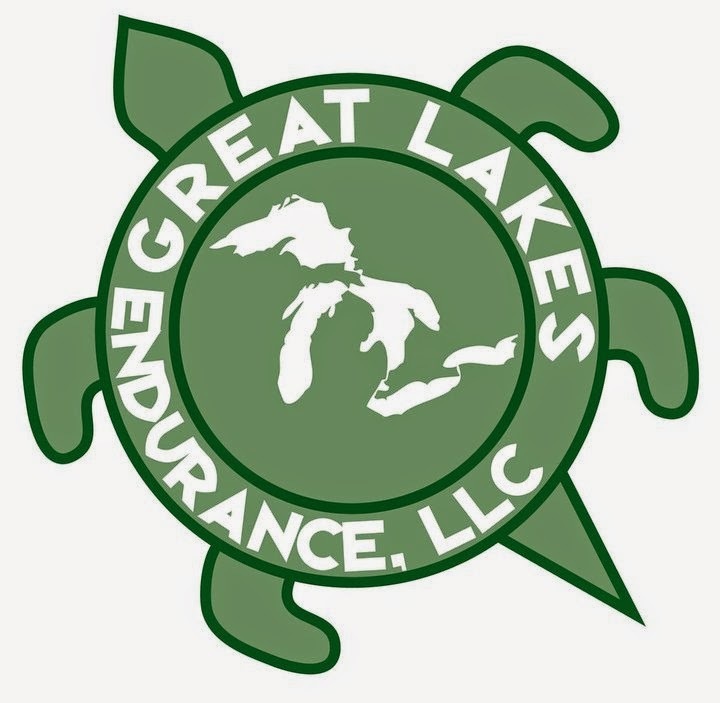 If you are from the Detroit area, you can try RUNdetroit for some of these. I love their store, and go well out of my way to frequent them, because they are experts and know what they are talking about. You also get to work directly with the owners which is a huge bonus in my opinion. Of course, if you shop online, I recommend Running Warehouse. 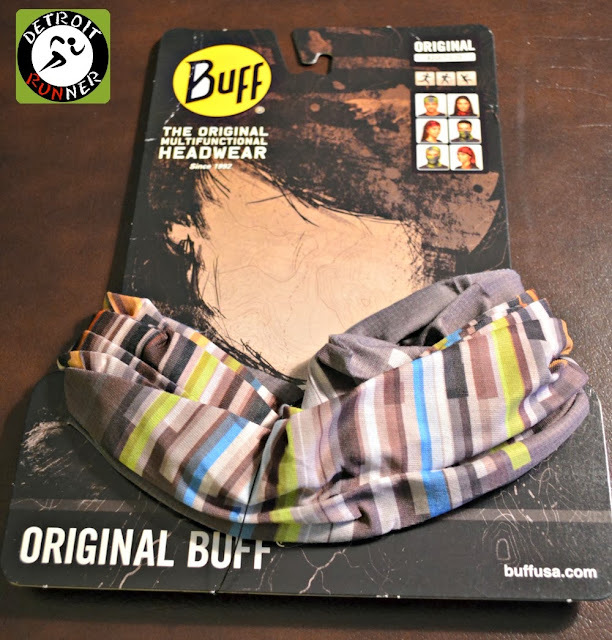 I buy 95% of my running stuff that I buy online from them. Great service, free shipping and returns, incredible prices. Note: Some of these items I've done reviews on in exchange for previous blog posts. All opinions are my own. As much as I'm not a fan of the course, the medal is awesome so run it for the medal. 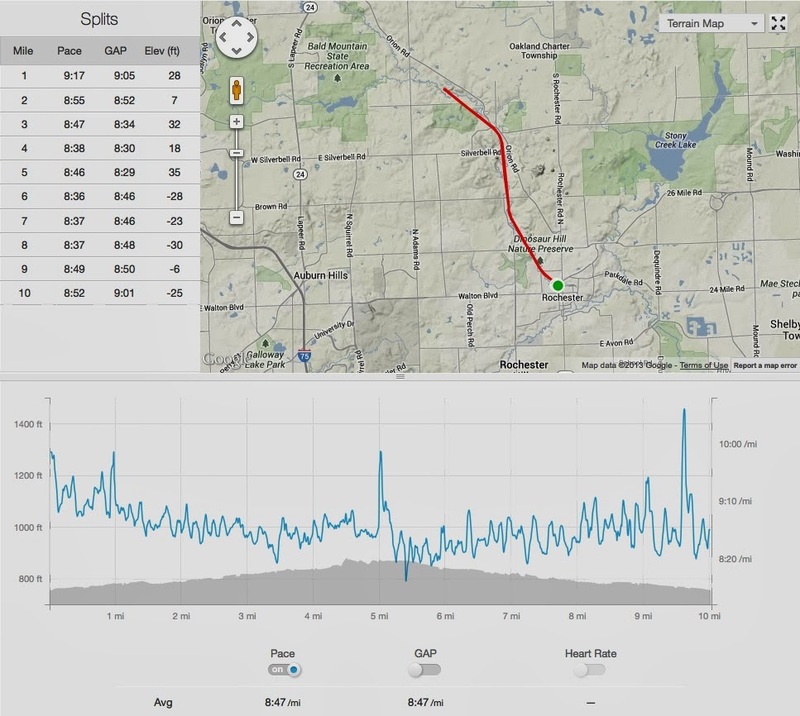 Over the last couple months, I've been connecting my workouts with the Strava website. Strava lets you track your activities for running and cycling as well as many other active sports. This can be accomplished through your phone or compatible GPS device. In my case, I use a Garmin 310xt. Once it's set up to transfer activity from Garmin to Strava, it does it automatically so you don't have to do anything manual which is a really nice feature. After you have your profile set up, you can transfer your Garmin data over. Frankly, I've had a very difficult time transferring over everything from Garmin and I still don't have it all transferred but I've got 2013 in there now. Strava/Garmin need to find a much easier way to get all activity transferred over and I still continue to use Garmin primarily for tracking since I have years of data in Garmin Connect. 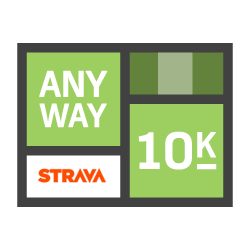 You also have the ability to input information into Strava manually for things the GPS watch are not used for or if you don't have a GPS or phone app. 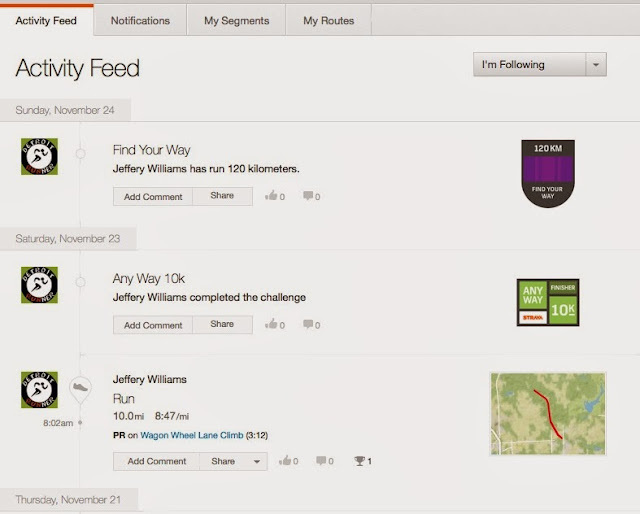 Below is a view of the activity feed which is what you will see after you set things up and have some activity in your Strava account. The above not only shows your activity but also shows challenges that you joined and/or completed which I'll explain later. The calendar view shows a summary of the activity. In this case, for 2013, but you can also click on the month and then the activity to dig more into specific results. The results are pretty accurate - Garmin showed 1,482 miles for 2013 so far. They are not exact and I believe the main reason is that I have some activity input into Garmin manually and those miles will not transfer to Strava unless you also manually enter them. Same goes for my Yoga and Weights workouts - because I enter them manually, they will not move to Strava automatically. Anything that shows the Strava symbol is a premium option which runs $59 per year so I cannot comment on these items since this is the free version. I will say that I could understand paying for a premium account but not sure I'd want to spend $59 every year but would be willing to pay it one time. As you can see below, as you get into more detail with your activity, Strava has included my activities below. It shows the type of activity, the day, the date, title, time spent, distance, elevation and the ability to edit and share it. It can be shared through Facebook, Twitter, email or you can even embed an activity into a blog post. The chart below is just a small portion of what I've included in Strava. In regards to your activity, below a detail of when I ran the Monumental Marathon in Indianapolis. It give you the summary of your race as well as any top results compared to what you already have in Strava. 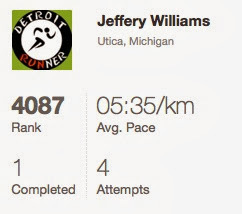 These are actually not my best results since I only have 2013 in Strava but you get the point. It's a nice way to track how you've done with past results. Further, you can see your splits with elevation on every split. You can't see it here but you can scroll through all 26 splits. In addition, the chart at the bottom shows you your pacing. If you read my marathon review, you'll see that I blew up at mile 18 so my paces get slower as I ran/walked the rest of the marathon. One of the unique things about Strava is segments. While I have not messed with them that much, you can see below there are certain segments that other users have created to compete against other runners. 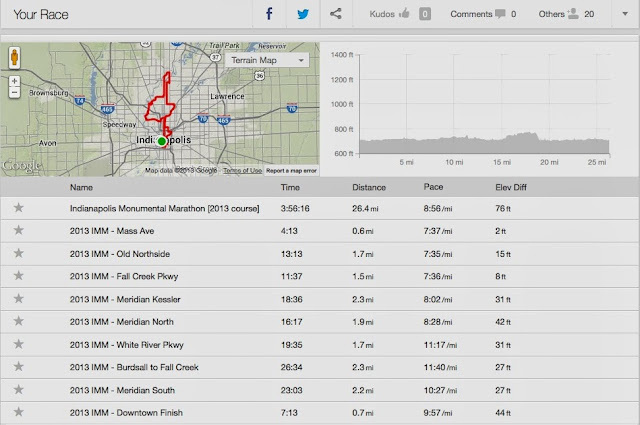 Since I don't know Indy that well, I don't know the significance of these segments but its a nice way to compare certain areas of the race with other runners. This would especially be great for races and also areas where you and many others train frequently. Strava also picks up other runners where you've run and can add those runners as friends. You can also search out segments in your area. Here's an area by Stony Creek where I train, as well as many other runners, train all the time. 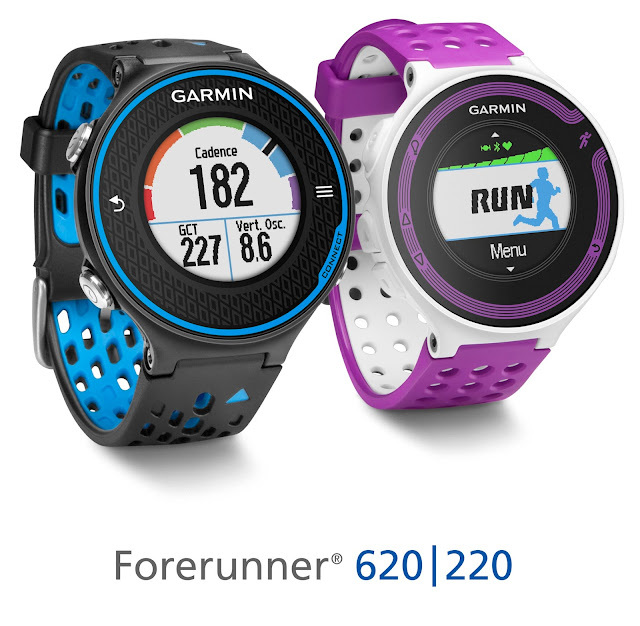 This is a great tool to compare yourself against other runners in your area. 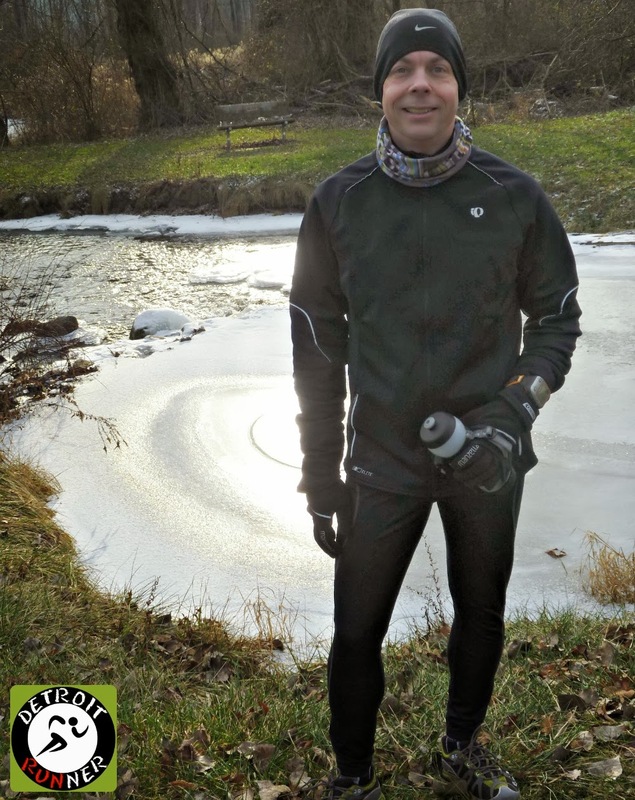 Here's a training run I did on Saturday on the Paint Creek Trail as another example. 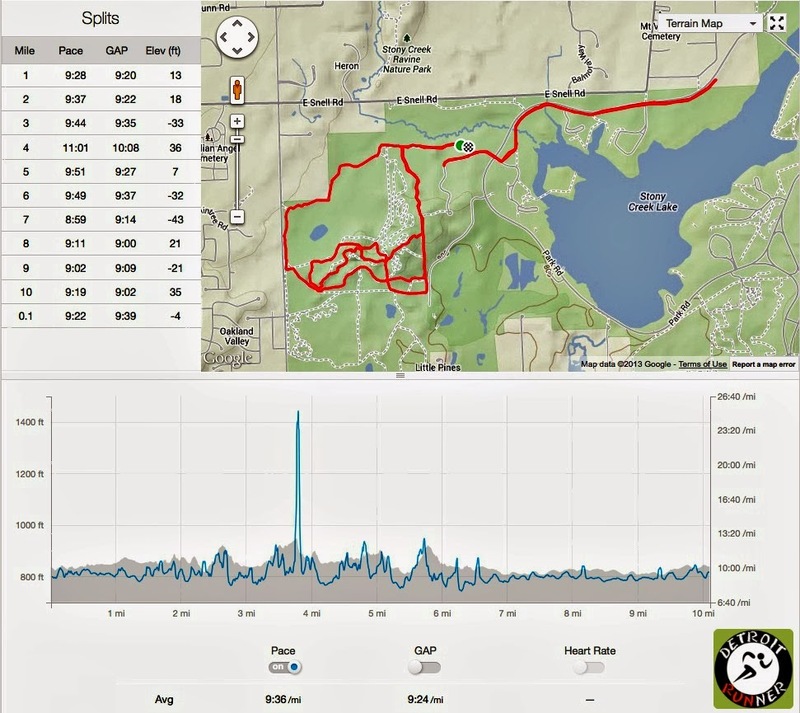 It's got all my splits, paces, elevation and map all in one easy to read chart. 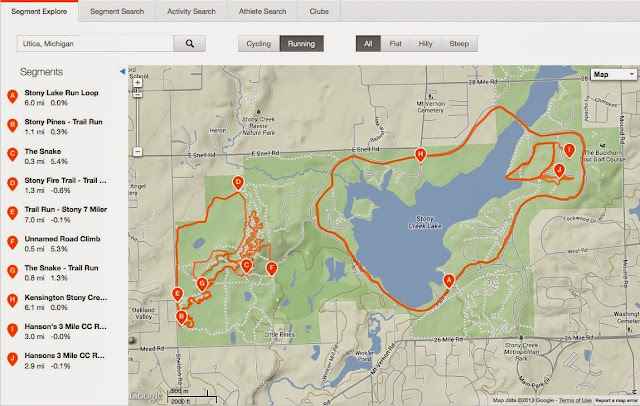 I also looked to see what segments were on this since so many runners run on this trail. This is what I found. I got a PR on the Wagon Wheel Lane Climb. My run Saturday showing a segment I also did. 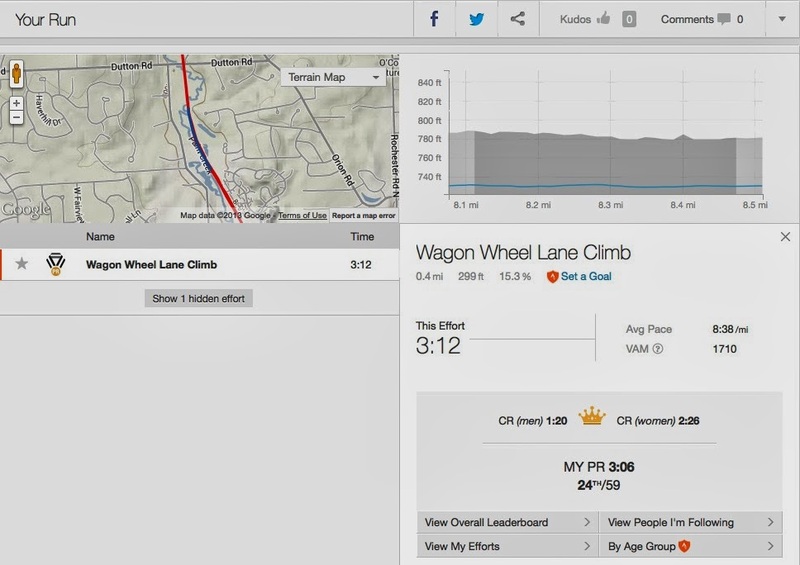 If you click on the Wagon Wheel Lane Climb segment, it will bring up specifics on the segment and you can see how you compared to others that also ran this. I also want to note that all this is done automatically. You don't need to join a segment. If you run a segment that a user has created, it will automatically be included on your run/cycle. You can also create your own segments too. 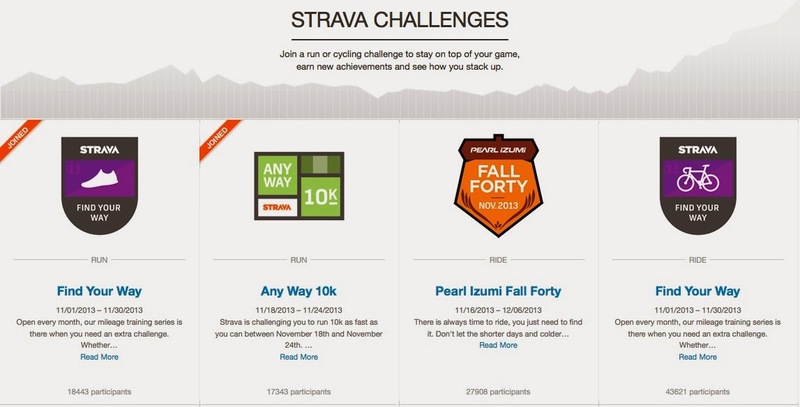 One of the cool things you can do on Strava is compete against friends and anyone on Strava in these Challenges. You go into the challenges page and click on the one you want to join. Here's an example of the challenges below. In this case here, I've joined two of the challenges below. 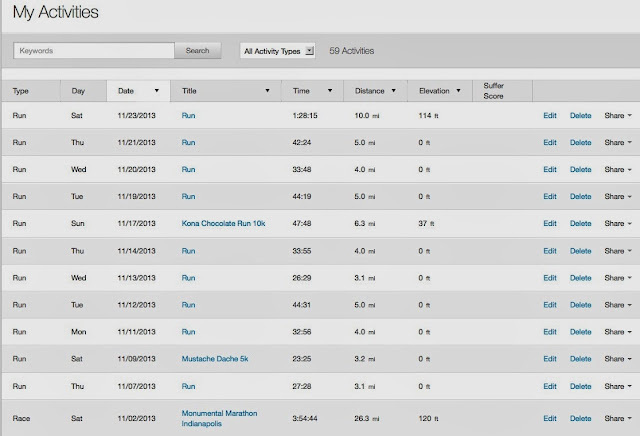 As you can see above, I did a 10k challenge that was to be done within a one week time period between 11/18 and 11/24. 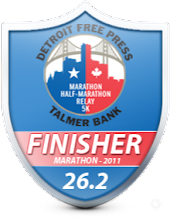 Here's some more details on that challenge and what you needed to do in order to obtain your digital finishers badge. A specific challenge and details of what you need to do. It also shows the ranking I placed on the challenge as well. 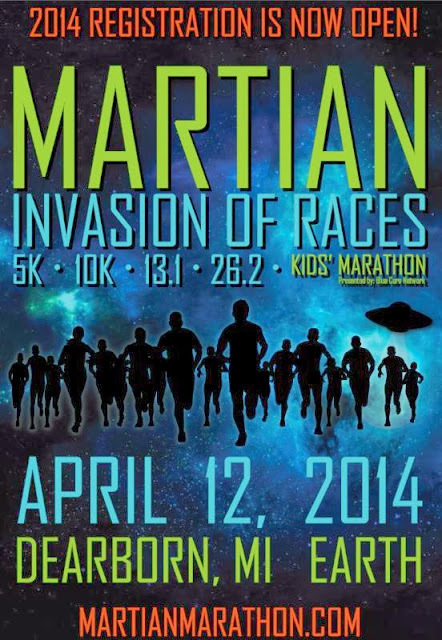 In this case, I just ran a 10 miler on Saturday and this was then included as part of the challenge. Of course, had I wanted to place higher in the challenge, I would have gone out and run the fastest 10k I could or perhaps tried it again during the week. I'm not really sure why it shows 4 attempts other than I had four other runs that week and all were under a 10k distance. Of course, they were not attempts but just my regular training runs so it seems odd that they would include them as attempts. Regardless, it's fun to see how you rank and who doesn't like receiving a digital finishers badge? 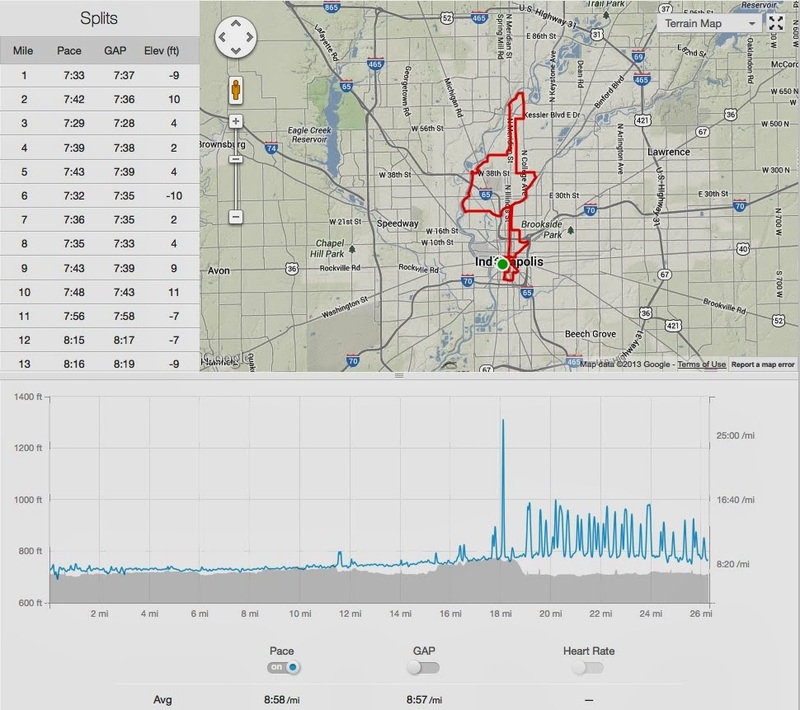 It gets included in your profile on Strava. Here's the badge I earned. Pretty fun, I think. 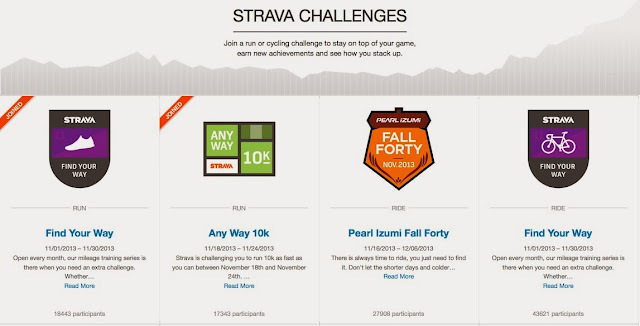 Strava usually has several challenges you can choose to join so you don't need to worry about having some motivation to keep you going all year. 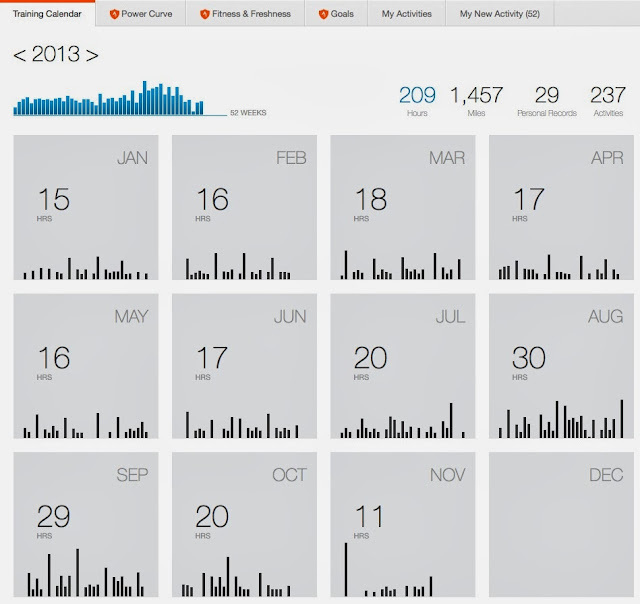 Strava also has the ability to show you a summary of all your statistics on your events. 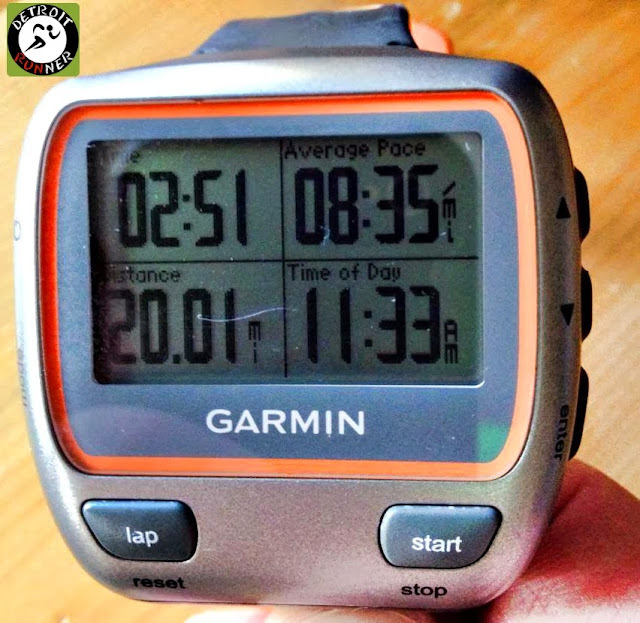 It will show you recent achievements, a graph of weekly or monthly activity for time, distance or elevation gain. It also shows you averages for the last four weeks and best efforts as well as year to date information and all information. It's a nice snapshot of what you've done. Overall, I think the Strava program is not only useful but fun and will be more fun as I include more people into it so there are more friends to comment. The above information is just the free version, which does give you quite a bit for a free program. It looks like you can get much more control on it if you want to get the paid version. My thought is there are so many training activity programs out there, I'm not sure I'd want to pay for it. I think if they offered a free month to try it, more users might go with the premium but otherwise the free version, in my oppinion, works for 95% of users. I'm probably one that tracks their information more than most too. I can certainly see several benefits to using Strava and it does seem much more detailed than other programs out there. Perhaps I'm in the minority but I actually like the Garmin Connect application and felt it's worked well for my purposes but it not very social and you cannot compare to others or do challenges. 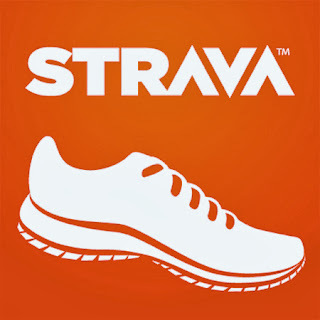 Strava is one more way to stay connected with like minded athletes and have some fun with challenges and segments. 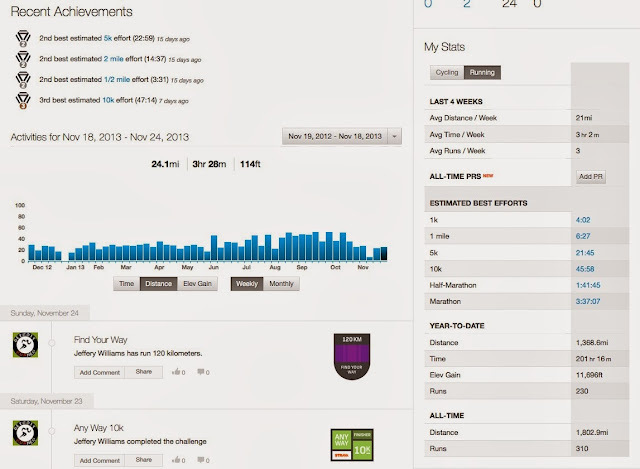 If you are looking for a way to be social and also keep track of your training, it's a good choice to try. 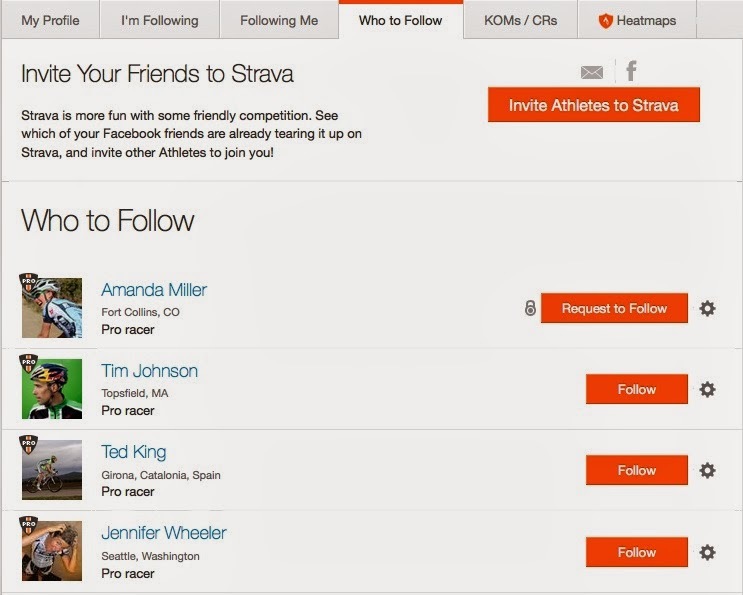 Interested in learning more, sign up for a free Strava account HERE and try it for yourself. Have you tried Strava? What do you think about it? Note: I was not compensated in any way for this review. Strava asked for my honest opinion and this is the post that resulted from that. All opinions in this post are my own. First I want to preface this with the fact that I love Experia by Thorlo. 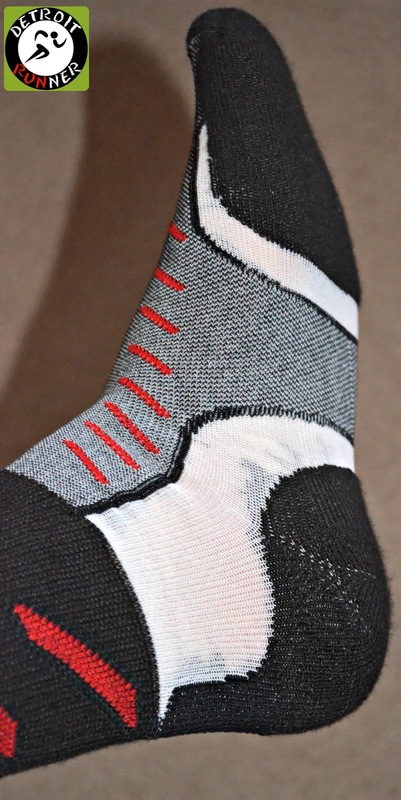 I wear the thin cushion Experia with merino wool/silk blend socks(Review HERE) during winter. These are the only socks that keep my feel warm when the temperatures go below 30 degrees. Under 30 degrees, I wear them exclusively. The "Crew" socks have a very similar feel. If you have not worn their brand before, they do take a little getting used to since they have the Thorlo pads on the ball and heel. Initially, it feels like you have so much more material in those areas, and you do. I will say, however, that the extra material is great for running. After a few runs in the socks, they feel very comfortable and you don't notice the extra material in those areas. What you do feel is a comfortable ride while running. 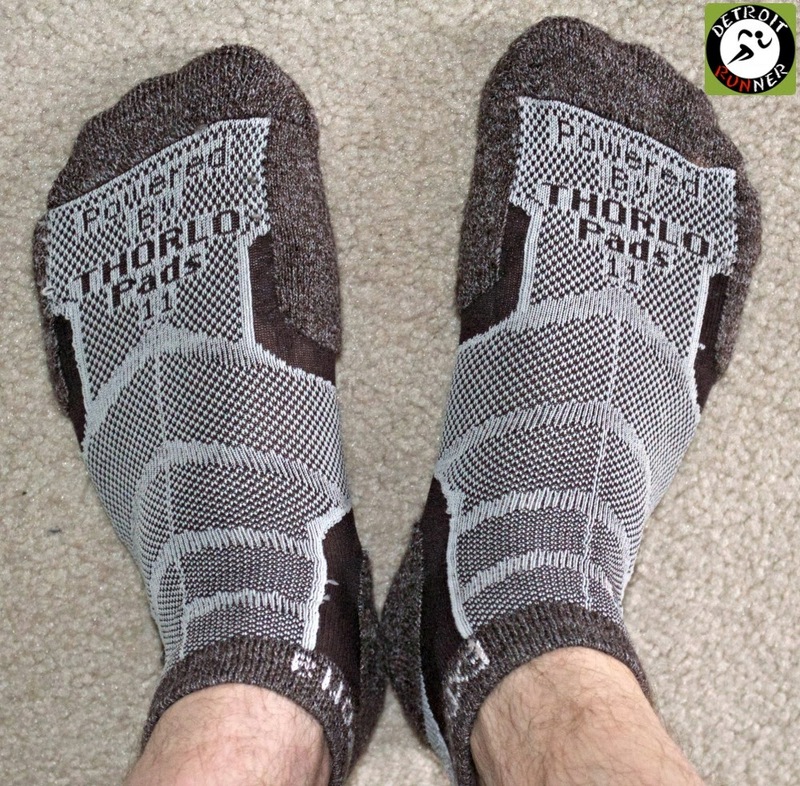 The remaining portion of the socks is ultra lightweight so they put the padding where it's needed most for runners. These particular socks do not have merino wool in them so they are not as warm as the socks I typically wear for winter but they are very comfortable for temperatures above 30 degrees. They keep your feel cool with the Coolmax material. I'm not a huge fan of crew length socks. I only have a few pairs of any socks that I wear in that length so I'm not sure that I would personally run in these frequently. I do believe these are great socks to use while hiking or other activities, even in the winter, since the crew length becomes more of a necessity and it's not necessary to always wear wool for other activities. Overall, the socks do what is promised which is to keep your feel cool, keep them comfortable and help give you the protection your feet need during activities. They are made with Thor-Lo excellent quality, made in the USA, and are very durable and will last for many years. My other Thor-Lo socks I've used for all of last winter and part of this winter and they still look like new. Thor-Lo is currently offering a sale on all of their socks through January 4th. Buy three, get one free. That's a great deal for these high quality socks. Retail price is $16.99 for these reviewed. Note: I received a pair of complimentary Experia socks in exchange for this review. 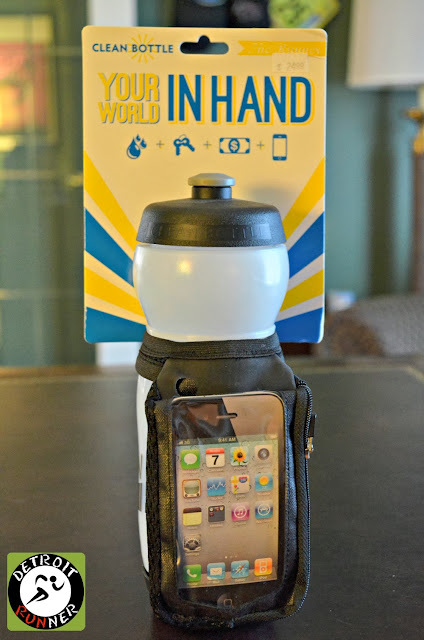 All opinions on this blog are my own and I was not required to give a particular opinion on this product.